A festive beach party is the perfect way to kick off summer. Sunshine, refreshing cocktails and sand between your toes. Does it get any better than that? Nope, we can’t say that it does. And after drooling over Waiting On Martha’s Mandy Kellogg Rye’s Lilly Pulitzer (for Target) inspirational shoot, we knew she was the best person to give advice on how to throw the best beach party. Mandy’s got some serious style when it comes to planning and executing a successful (and gorgeous) shindig. Check out her foolproof tips below — the only thing you’ll need to find now is the perfect beach spot. 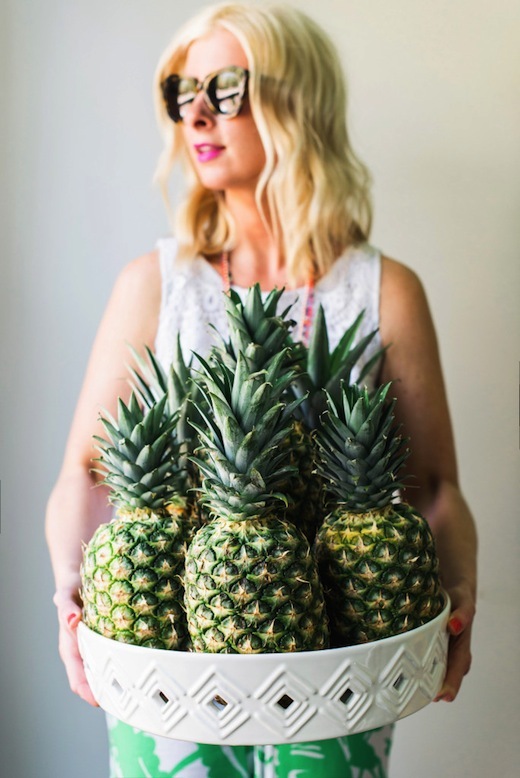 All great hostesses know the secret is in preparing as much as you possibly can ahead of time. Ensure important details like prepping, stowing and covering food and keeping drinks cold are taken care of. That way, all that’s left to do is sit back with an umbrella-clad cocktail in hand and enjoy the festivities! Plan a menu that guests can eat without utensils. Veggies and dip, finger sandwiches and sweet and salty snack options are always good options. Selecting portable, easy-to-eat food will keep everyone happy and satisfied without hindering the ability to move around and socialize. 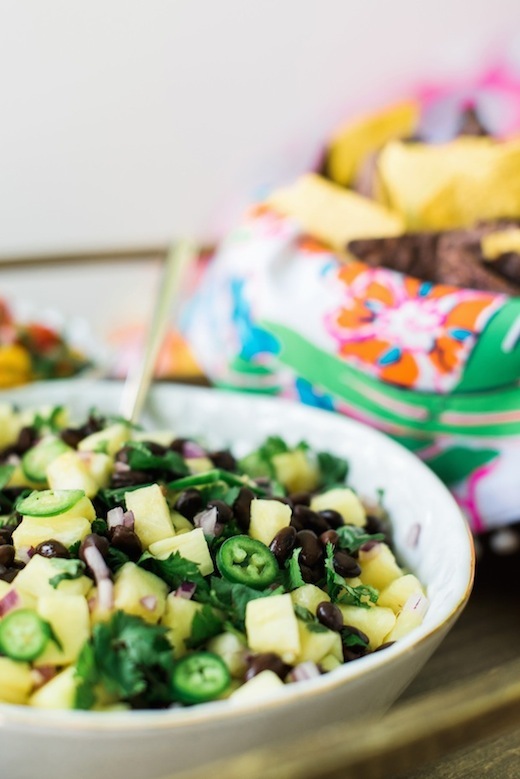 Keep your guests cool on a hot day with a light and refreshing menu. 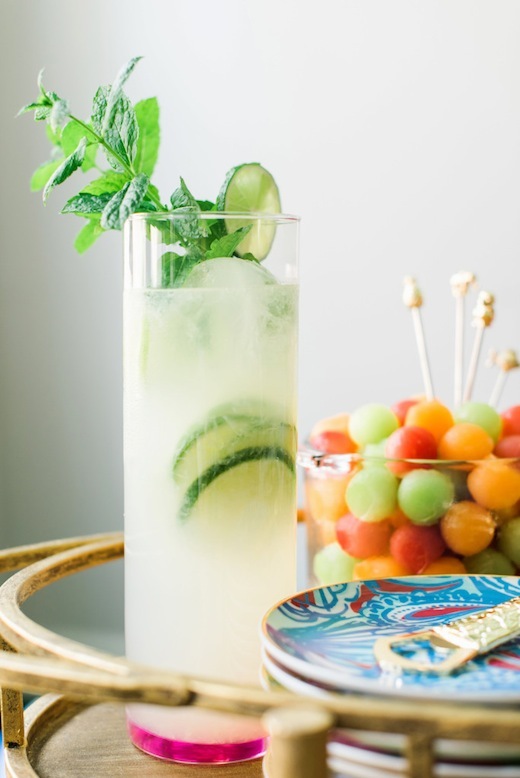 Think fresh bites and thirst-quenching sips in flavors like juicy watermelon or mango. They’ll ensure your guests stay full and hydrated, while out in the sun. Stay true to your beach party theme without going over the top. 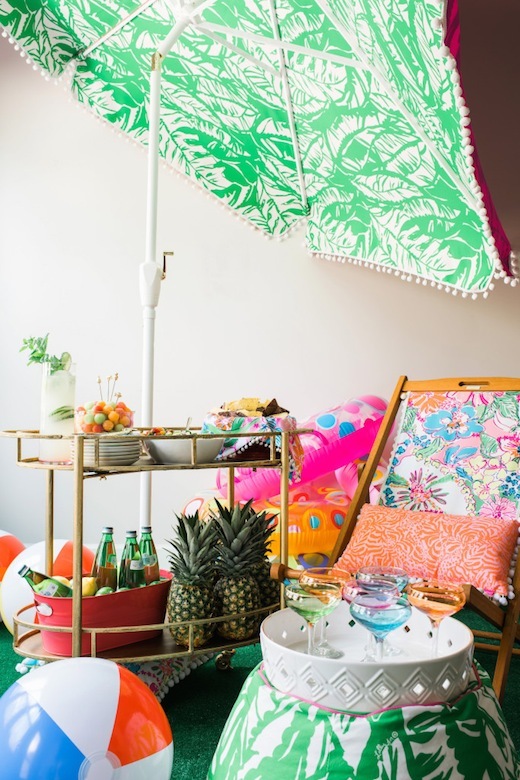 Consider using colors, coastal vibes or punchy prints that maintain a fun and tropical atmosphere sans the cheese. 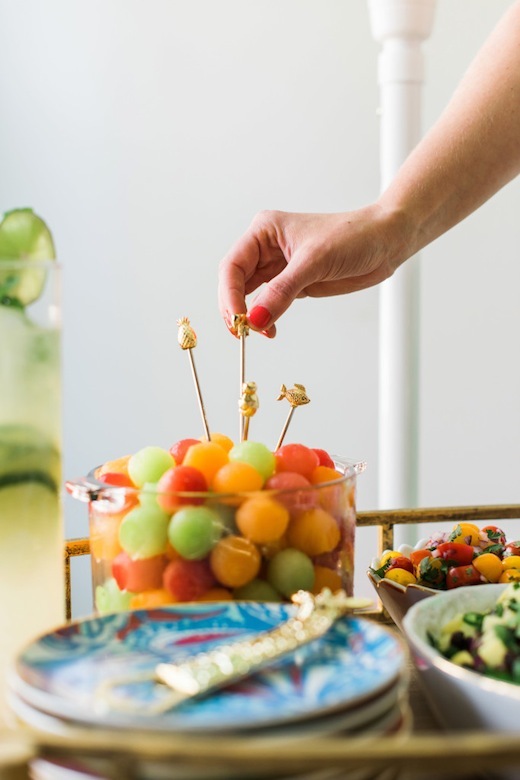 To keep food and drinks cold while adding a little fun, fill multicolored water balloons with water and freeze. Add them to the cooler to keep drinks frosty, while preventing ice from turning into a pool of water. My rule of thumb is to offer beer, chilled wine and one signature cocktail. A boozy punch or sangria that can be made ahead of time in large batches is perfect for keeping drink options lively without the need to mix individual cocktails. Create a playlist that mixes the old and new, keeping it festive, upbeat and chock-full of songs guests will recognize. Keep the tunes hassle-free with a portable speaker; just be sure it has enough battery life to last the entire party! Whenever entertaining outdoors, hope for the best, but always prepare for the worst. Have a backup plan that is easily enacted if the weather goes awry.